There's just something about the playing the blame game in sports that is so fun. 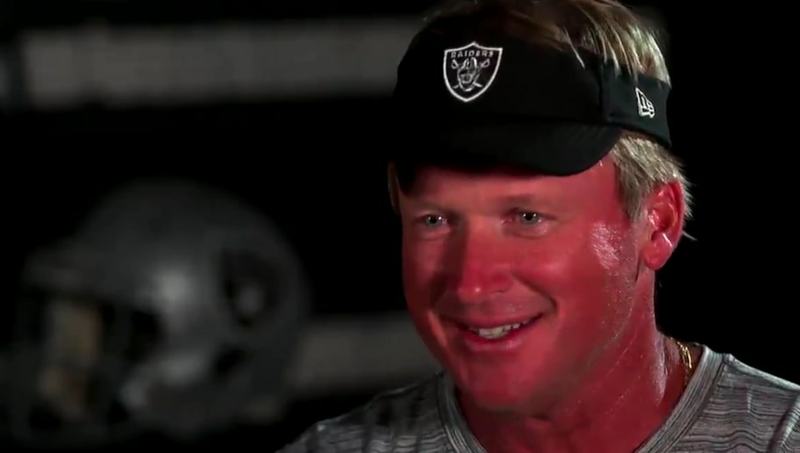 New Oakland Raiders head coach ​Jon Gruden is already off to a controversial start after signing a massive $100 million dollar contract for 10 years. In a shocking move, ​Gruden traded away top defenseman Khalil Mack, the former Defensive Player of the Year, to the Chicago Bears. Gruden has finally sat down and explained his decision and it's incredible. "Khalil Mack didn't want to play here...Don't forget that"
Gruden blames Mack for not showing up for OTAs or training camp and decided that he wasn't going to show up for the season. This is a bold claim by Gruden, especially since Mack is one of the best defensive players in the league. The timing of this interview is laughable since ​Mack had a monster night in his debut with the Bears. In one half, Mack would return an interception for a touchdown, post two tackles, a sack and a forced fumble. The highest paid defensive player in NFL history appears to be doing just fine. If Mack wasn't going to show up for the Raiders as Gruden believes, then he'll do it for the Bears instead. At the end of the day, Mack is worth every penny. The Raiders, especially Gruden, completely blew it here.